We, at Bermuda In Home Care, understand the responsibility and trust you are placing in us by letting us help your elderly and disabled family member(s) and we strive to live up to that reputation. Our caregiver staff is not only trained to professionally cater to each and every whim and need of the person in need, but also we do it with the kindness and respect that the elderly deserves. We understand their condition and know our clients are susceptible to falls, sudden illnesses or physiological issues which they have no control over. Our caregivers are always cautious and continuously vigilant for any such occurrences. 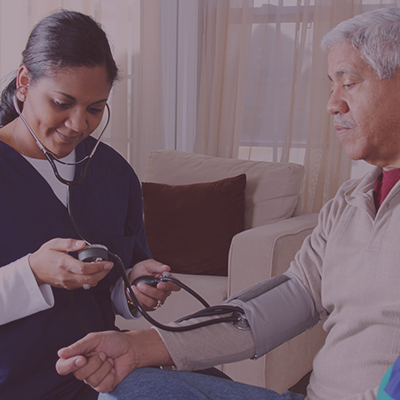 We provide a safe and secure caregivers who will care for elderly in need and ensure 24-hour monitoring with our live-in 24 hour care program. Senior and elderlies need to feel at home even in their own homes and need recreational activities, which they don’t find people for. Our in service caregiver will encourage them to share their joys and sorrows. Our trained caregivers are all certified with dementia care and understand the condition with which the people are going through in their lives. We strive to achieve excellence in our service by providing the care needed for the elderly, disabled and person with dementia or Alzheimer’s.